British fashion designer Henry Holland has teamed up with Aurasma to create his own augmented reality app called House of Holland, which brings the front cover of InStyle alive this month. 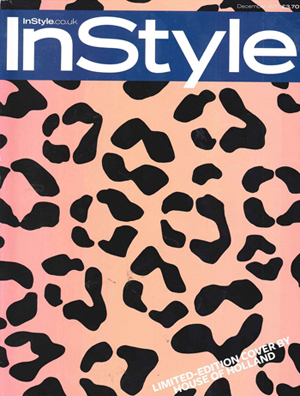 The application allows subscribers of InStyle in the UK to download the House of Holland app and point the camera on their mobile device at the December issue’s front cover. The leopard skin print then melts away to reveal runway videos from Holland’s Spring / Summer 2012 collection, which was revealed at London Fashion Week earlier in the year. Readers are then able to click straight through to the House of Holland website to buy pieces from the looks. Take a sneak peek at the video of the moving InStyle cover in action. This isn’t the first time we’ve seen a major publication ditch its traditional glossy front cover in favour of something a little bit different. Earlier in the month, augmented reality app Zappar teamed up with Hearst Magazines UK, the company behind Cosmopolitan and Harper’s Bazaar, to bring the covers of their publications to life with augmented reality, which revealed interviews with celebrities and exclusive content. Over the past few years many industry insiders have been questioning whether augmented reality technologies are here to stay, or just quirky gimmicks that have no real lasting power. Although early adopters and tech enthusiasts may be sick and tired of the term already, the increasingly popularity of apps like Aurasma show that many are still interested. The fact that both InStyle and Heart Magazines UK have utilised augmented reality technology as part of their covers in recent months shows that this kind of richer, interactive content could certainly hold an appeal with audiences who are growing tired of print media and want something even more compelling. It’ll be interesting to see whether this kind of augmented reality integration draws more people in and increasingly becomes a part of printed media, or whether it just confuses and irritates them in the long run. The House of Holland app is available from iTunes for Free. Should parents log into their kids&apos; social media accounts?